What do you know about the history of your area? 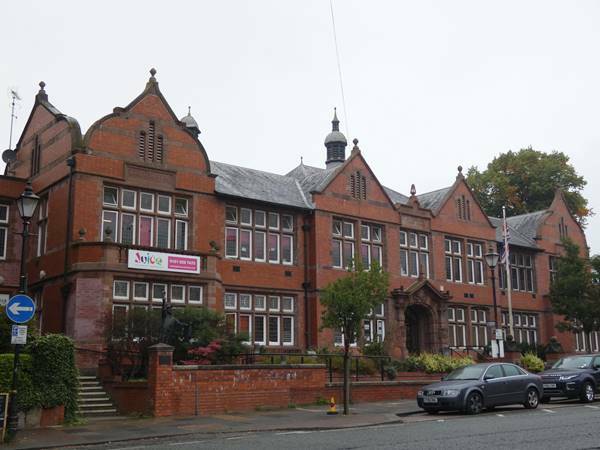 Altrincham History Society exists to further the study of the Altrincham area and to enable such research to be communicated to the public. Members enjoy a series of talks through the year, with occasional visits, and are encouraged to become active in researching topics related to the history of the area. The Society publishes the results of research in booklets and a yearly journal. A full index of the Society's publications is available here in 'pdf' format. Altrincham today is very much a modern town, with recent developments involving many changes but, beneath the streets and behind the buildings, there is a story to be told. Subscriptions are £8p.a. or £15 to include a spouse or partner. Visitors are welcome, and are charged £2 per meeting. The Society's Data Protection Policy may be viewed and downloaded here in MS Word format. Altrincham History Society meets monthly from September to May, on the second Tuesday of the month, starting at 7.30pm. All meetings are on Tuesday evenings, starting at 7.30pm. Tuesday, 11 September, 2018: Edward Watkin: King of Railways by Geoff Scargill. Tuesday, 9 October, 2018: Emmeline Pankhurst by Jean Bailo. Tuesday, 13 November, 2018: War Memorials by George Cogswell. Tuesday, 11 December, 2018: Christmas Buffet and Quiz. Tuesday, 8 January, 2019: New Roads in Altrincham by Hazel Pryor. Tuesday, 12 February, 2019: Annie Swynnerton, Manchester artist by Rebecca Milner. Tuesday, 12 March, 2019: Peterloo Massacre by Robert Poole. Tuesday, 9 April, 2019: NB CHANGE OF SPEAKER AND TOPIC! The new talk is Miss Winifred Comber of Knutsford, traveller and photographer by Audrey Young, who is a member of Knutsford History Society. Tuesday, 14 May, 2019: AGM and Members' Research.